As cold as it's been (and may still be for a little while), it's not a foregone conclusion that kids will get sick. They share germs with each other at school, and those germs often wind up coming home with them - maybe even getting other family members ill in the process. 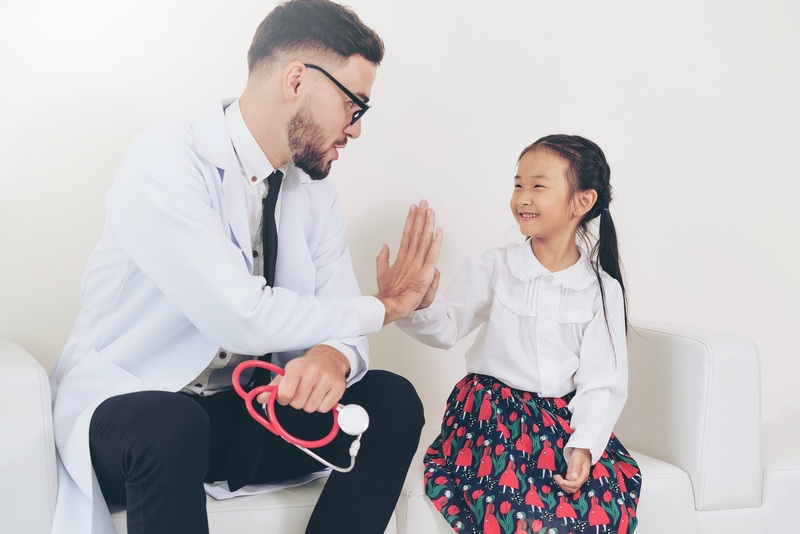 But while many adults have found ways to overcome any fear of going to a doctor for treatment, kids' fears of the doctor's office are sometimes not as easy to conquer. Irrational or not, kids fear of doctors is real. But you can do something about it. A recent report on NPR looked at kids' fear of medical office visits and shots, and reported that researchers found roughly half of the 726 parents they interviewed had kids who disliked going to the doctor. Fear of shots was a big reason, but another major concern among those children was fear of the stranger. So what can parents do? One therapist said talk with your kids in advance of the appointment. Use a toy doctor kit to explain what happens when visiting the doctor so they have a better idea of what to expect. Some doctors also provide some online explanations and show kids around the office to allay fears. There may be a variety of things to ease kids' fears and anxiety around visiting the doctor. Take some time to research them and talk with the pediatrician you will be seeing to ask for other tips.